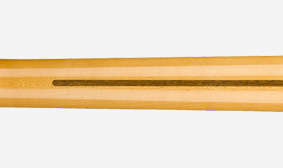 We tested many configurations before Johnson settled on the lightweight capped alder body. 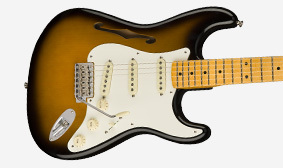 With custom chambers and traditional Strat contours this guitar looks as good as it plays. 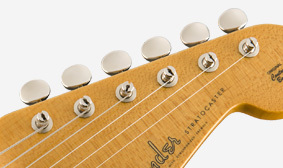 Fender’s R&D engineers worked closely with Johnson to craft the perfect pickups for his uniquely articulate sound. 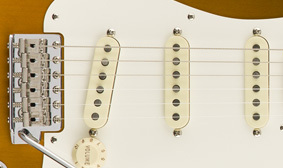 Carefully blending our legacy with EJ’s discerning sonic tastes, these Stratocaster pickups are a key element of his tone. 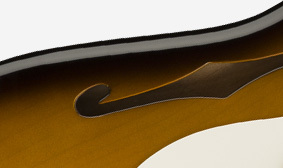 Not only do these tuning machines have a cool vintage look, they also create optimal string break angle at the nut, removing the need for string trees. 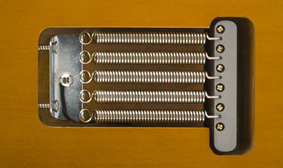 Matching Johnson’s own specs, his signature Stratocaster has no tremolo cavity cover on the back and no screw holes for one.